St Nicholas Church is located in the heart of the village, and is very prominent. The Village Centre building and car park is more or less opposite the church. The post code for the Church and for the new Village Centre is PE31 6LN. At the Centre there is car parking and there is more parking in St Nicholas Court opposite. 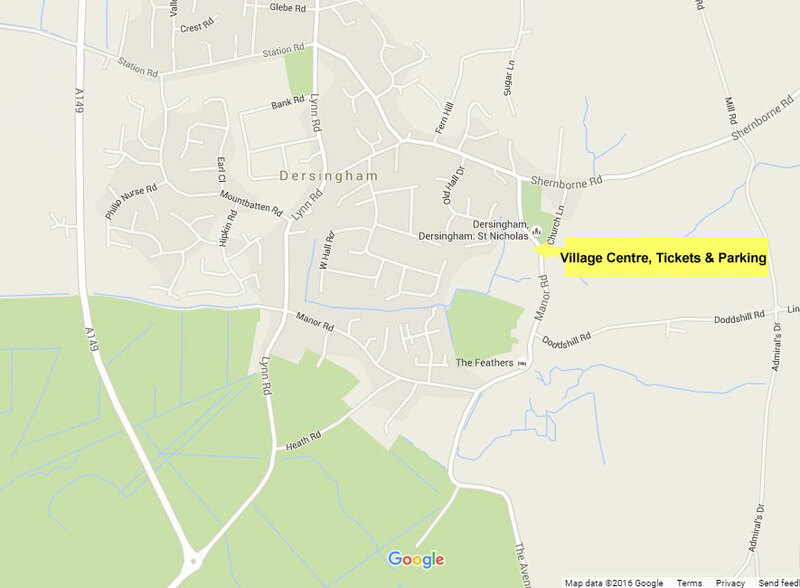 You may find the map below helpful in finding your way through Dersingham.